Stay in Koh Samui's best hotels! Located in Chaweng and with Central Festival Samui reachable within 1640 ft, Lub d Koh Samui Chaweng Beach offers an outdoor swimming pool, nonsmoking rooms, free WiFi and a garden. This is by far the best place to stay at Chaweng beach. I’ve been in Samui many times and this time was the best because of this hotel. Lub d hotel is a brand new hotel located in the heart of koh samui very suitable for solo travelers, couples and even families. Located on 58 acres area in Choeng Mon Beach overlooking the ocean, The Ritz-Carlton, Koh Samui offers accommodations with a fitness center. Super accommodating staff.. felt like "your wish is my command" type of service. The manager "Mohamed" personally planned our stay and gave top notch restaurants recommendations both at the Ritz and throughout the island. I travelled with teenagers and a 6 year old and we all had a great time. The spa pool is a perfect hideaway and it is quite big. The hotel is new with contemporary interiors which is very important to me! Featuring an outdoor swimming pool, Charming Fox Samui is located in Bophut, 1.6 miles from Fisherman Village. Offering a restaurant, the property also features a fitness center. Everything, the views, service, facilities, all spot on. The quality complimentary toiletries, tea and coffee all of superior standard. The shower was amazing and outdoor Jacuzzi at night looking out over fisherman's village to the sea was wonderful. I can't wait to stay again. Located in the city center of Lamai in the Koh Samui region, Crystal Lamai Hotel offers cozy guestrooms with free WiFi. The nearest beach is just a 5-minute walk away. We’ve stayed there for two weeks and everything was perfect! The stuff is super helpful, rooms are big enough and very clean (they make the room every day, changing all the towels as well), location is very good. Even though it is a little bit far from the entrance to the beach (around 15 minutes to the walk), but it is close to the street with plenty of shops and restaurants as well as to the big Tesco supermarket. If you want to rent a bike or a car you can do it just in the hotel. We are really glad that we’ve chosen Crystal Lamai Hotel! Located in Bophut, in a building dating from 2006, a 14-minute walk from Fisherman Village, Samui Family has an outdoor swimming pool and guestrooms with free WiFi. Awesome layout. Cozy. Well designed. Beautiful. Located 1.1 mi from Big Buddha, Villa Labaron features a beach front accommodations with a communal outdoor pool. This villa provides free WiFi access in all areas. The property was immaculate, clean and perfectly located. Our hosts, Jay and Jose, couldn’t have done more to make this an outstanding holiday. They arranged everything from transportation, food and helped us with all the local attractions and what to see. They were the kindest family, sharing boat rides jet ski outing and lovely drinks and snacks by the pool. Every day our room was cleaned, fresh towels and toiletries. The location is perfect, near all the shops, restaurants and Fisherman’s Village, but quiet and peaceful inside the property. The infinity pool and the beautiful beach were amazing. I cannot recommend Villa LaBarron to highly and will certainly return again. Baan Plaai-Ngam is offering accommodations in Bophut. 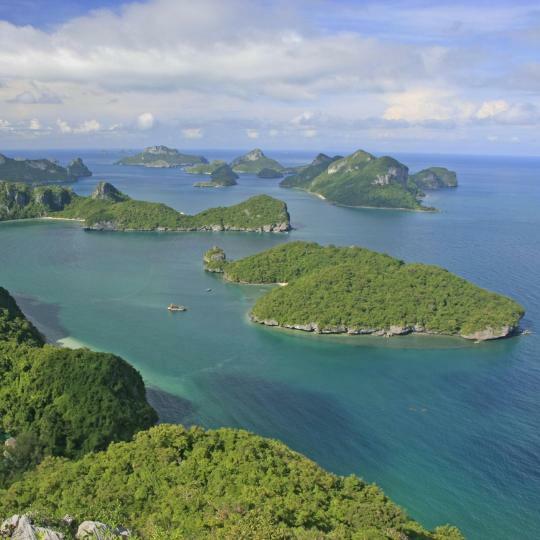 Located around a 14-minute walk from Fisherman Village, the hotel is also 0.9 miles away from Bo Phut Pier. Each room comes with a balcony. Comfortable bed, clean room and big parking lot. Located on 58 acres area in Choeng Mon Beach overlooking the ocean, The Ritz-Carlton, Koh Samui offers accommodations with a fitness center. Super accommodating staff.. felt like "your wish is my command" type of service. OZO Chaweng Samui is located on Chaweng Beach. It offers modern air-conditioned rooms with free Wi-Fi and free public parking. The property features a pool, fitness center and tour desk. Location was great. Beautiful hotel and facilities very convenient. A beachfront property, Crystal Bay Yacht Club Beach Resort features villa-style accommodations surrounded by tropical gardens. It offers an outdoor pool with children’s pool, and a restaurant. Great location, great staffs - Supporting and helping - perfect ! Set in Samui, Kiddee Condo Samui offers an adult-only accommodations located within a 8-minute walk to Mimosa Beach. Extremely comfortable Condo for an extended stay. Super comfortable beds with soft clean pillows. Set in Bophut, Infinity Bophut Apartments offers fully furnished studios equipped with a kitchen and free WiFi. Anna, the host, is a very friendly person. Check in was very fast. Located in Bangrak Beach, 1.1 mi from Big Buddha, The Privilege Hotel Ezra Beach Club features an outdoor pool and sun terrace. Guests can enjoy the on-site restaurant. Best coffee ever! Very friendly and helpful staff. Surrounded by tropical gardens, Lemon House Samui is located just a short walk from Maenam Walking Street. There is a public way to the beach and an outdoor pool. I will definitely be returning to lemon house. Featuring free WiFi, a restaurant and an outdoor pool, La Perle Luxury Boutique Hotel is located on Mae Nam's beachfront. All room types offer a private pool, with views of the sea or tropical garden.... We love the privacy, the friendliest manager Nock and the best beach. Offering an outdoor pool, Baan Talay Pool Villa Koh Samui is located in Chaweng Noi. Tastefully decorated villas give guests privacy and a private plunge pool, along with sun loungers on the patio. Good location if you need far away from people. Enjoying your private pool all day. Great staffs. Baan Bophut Beach Hotel is located directly on the beachfront and near Fisherman's Village in Ko Samui. The location was great, right on the on the water. Pelegrin Hotel Samui is a 1-minute walk from Bo Phut Beach and Fisherman's Village. It offers clean and comfortable rooms with free Wi-Fi and free public parking on site. This was an amazing place to stay. There is new owners and they are so great! Chaweng Noi Pool Villa is a 7-minute drive from Chaweng Beach. It has rooms and private villas with free Wi-Fi in public areas. The property features a pool, tour desk and 24-hour front desk. It’s a great place to stay for vacation. You literally feel like you are in paradise. Visit Natural Detox Resort is a 2-minute walk to Lamai Beach. It offers modern and comfortable rooms. There is an outdoor swimming pool, yoga as well as various detox programs on-site. Really enjoyed our week in the resort. Everyone was super friendly and service was very good. A 5-minute walk from local restaurants and shops at Chaweng Center, PTK Residence provides air-conditioned rooms with a balcony. An outdoor pool, and free parking are available. Near outside food courts, restaurants and convenience store. This tropical Thai-style beach resort features an outdoor pool and a private beach. It offers a range of bungalows with free Wi-Fi and beautiful views of the garden or sea. Honestly we liked everything! We even like that it is out of hustle and bustle. Sailing through its lush green archipelago, the "Golden Bowl" is truly heaven for eco-adventure lovers. The streets of this charming fisherman’s village are lined with wooden Chinese shop houses, coffee shops and restaurants. 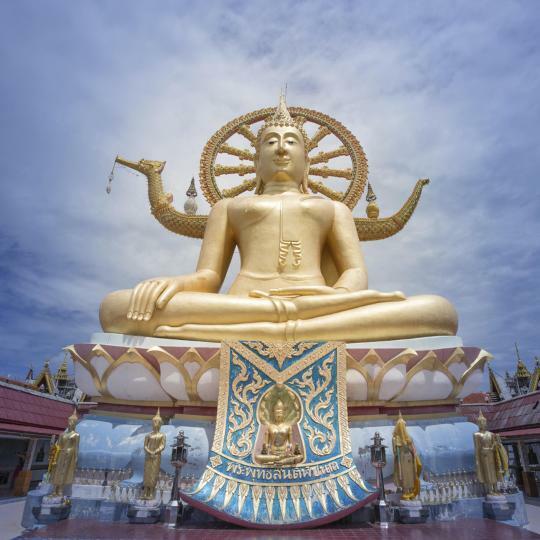 Locally known as Wat Phra Yai, this modern Buddha stands 15 metres high against a background of the sea and sky. 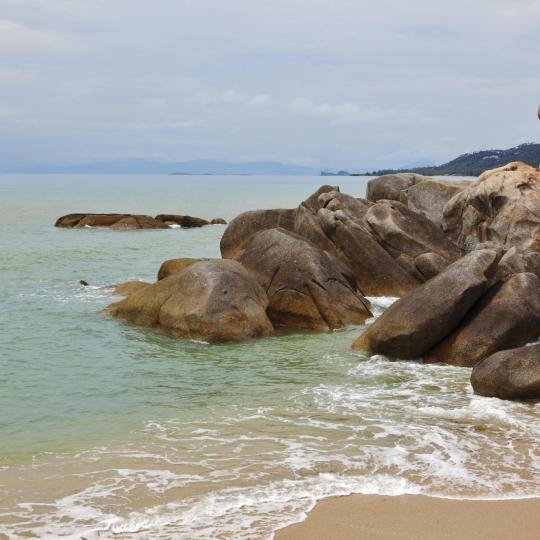 Known in Thai as Hin-Ta and Hin-Yai, these rocks are shaped like genitalia and attract plenty of giggling tourists. Fancy an adrenaline-inducing spectator sport? 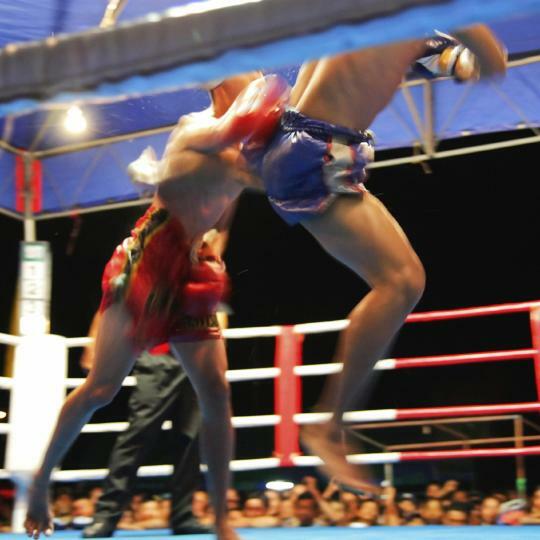 Drop by Chaweng Stadium for a Muay Thai boxing match, complete with a live commentator. Watch busy Chaweng from above on the Jungle Club’s chilled-out terrace over drinks and a tasty meal. 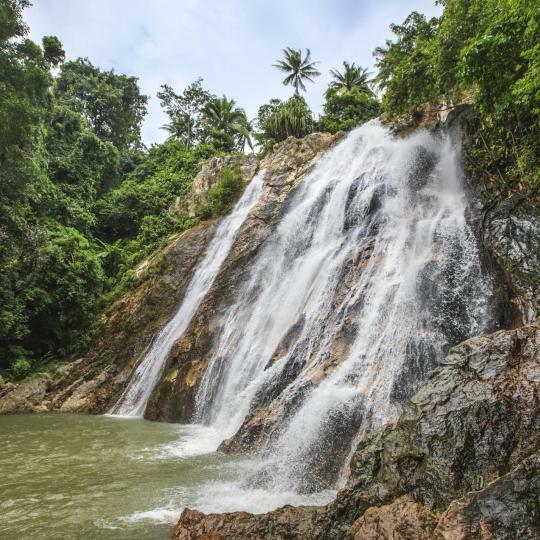 This is Samui’s tallest waterfall, falling 30m over rocks, with a great pool for swimming at its base. 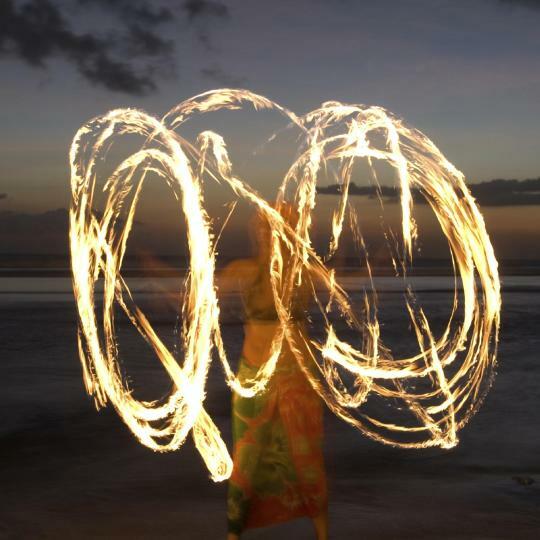 Just across from Ko Samui, Hat Rin beach on Ko Pha-Ngan hosts the world-famous Full Moon parties. 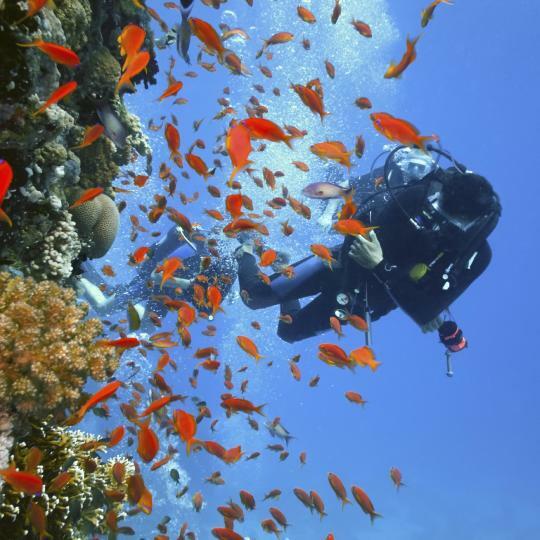 This small island near Ko Samui is jam-packed with incredible diving sites and caters for all levels. Lovely, quite and beautiful place in Koh Samui. Lovely, quite and beautiful place in Koh Samui. The beaches around there are one of the most beautiful I have seen. 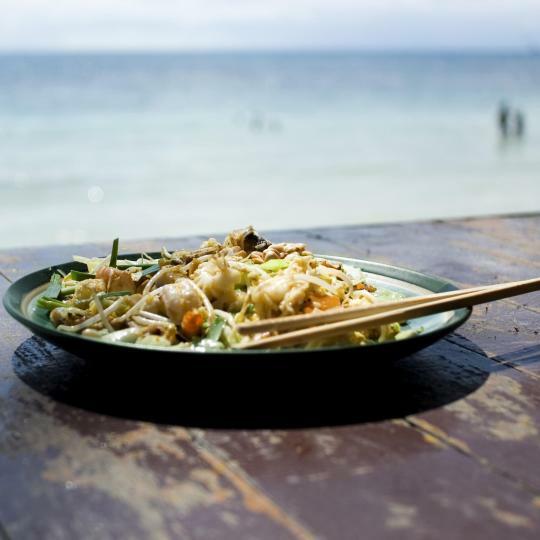 I could find cheap and really good restaurants easily and is not far from the touristic attractions. Only about 6, 7km. 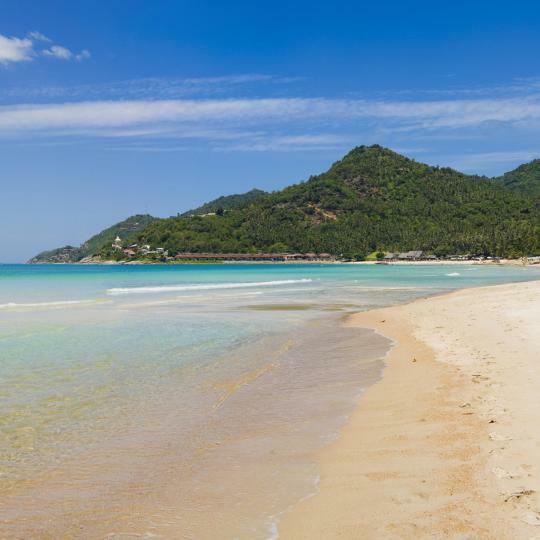 Chaweng is the larger, busier, and livelier beach on Koh Samui. Seems there something always going on. There was a festival one night and some other event on the beach the following night, and then just what seemed the weekend crowd. I'm a solo traveler so this was perfect to meet other people and do things. It's a little loud but got lucky with the quiet hotel on the beach. The Sea Koh Samui Boutique Resort & Residences. The Sea Koh Samui Boutique Resort & Residences. The room is dirty, They not clean all bed in the room before the new guess check in. When I see the bed before lay down, I can smell the bed and blanket is very bad smell and have some hair and yellow color some point on the bed! 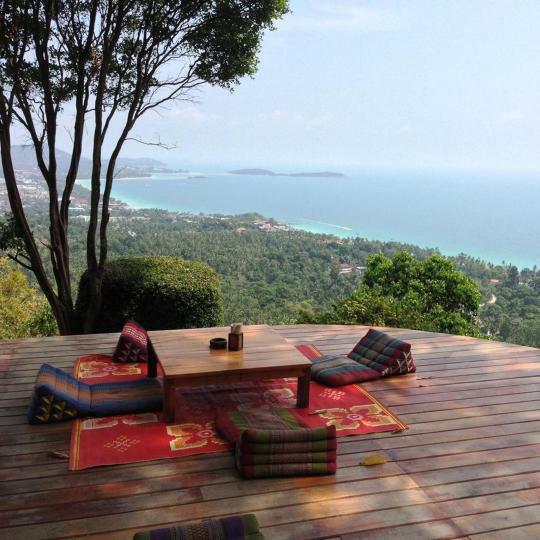 If you want to get away from the hustle and bustle of Koh Samui, this is the place. Beautiful beach, mainly secluded. If you drive into the main road, it feels more like Koh Samui from20 years ago. A lot of local food stands, super cheap. Lovely area with lots of restaurants and excursions. Lovely area with lots of restaurants and excursions. Great access to Koh Tao and Koh Phangan islands as well as Koh Samui airport. Fisherman's village night market on a Friday for shopping is amazing! Well worth a visit. Chaweng is a nice town on Koh Samui with a great beach, some nice options for souvenir shopping and also some good nightlife! A busy and beautiful long strip of beach with loads of hotels and bars and restaurants as well. A great location for a first timer in Koh Samui in my opinion. You can find all sorts of bars, pubs, night markets, massage shops and great hotels. We travelled by fast boat to Koh Samui. We travelled by fast boat to Koh Samui. Very smooth operation with taxi, boat transfers. Quite a few bars and bistros and wine bars with good wine.although a bit expensive. 7 eleven also sells a Jacob creek wine . Excellent apartment. Located up in the hills of Maenam, which seems like a long way from the beach at first, but it is only a 15 min walk. Ilya (The manager) was the best too, makes you feel really welcome and attends to all your needs without any fuss. Any family looking for a bit of space when staying in Koh Samui, this is an ideal option as it is like a proper duplex apartment. You will not get a better place than this for the price you pay. We are a family of five and not once felt crammed when staying here, even during the rainy days. Ozo was incredible! Location was perfect, only a short walk to many restaurants and markets. Staff were friendly and helpful, organised airport transfer and packed an early breakfast. Speaking of which.. the breakfast buffet is fantastic, the best buffet I've ever had and also has Vegemite there for Australians who miss it. The bed was a cloud, the facilities were great, pool was great, good deals at the restaurants attached/in the hotel. Perfect place to stay, and if I ever get back to Koh Samui I will be back! This place is amazing! The pool is really nice and the whole surroundings of the hotel are beautiful. We had a huge cabin/bungalow for 2 people and so much space. The kitchen is huge and the bed was comfortable. The place is really quiet and peaceful. 10-min walking to what we thought is the best beach in Koh Samui. Only a few people, nice waves and no bugs in the water. Nice restaurants near and places to rent motorbikes. Yuri, the owner, is really kind and helpful. Overall we had a great time here! I liked everything! The dorm was big, had three vans and a big bathroom. It was all very clean and they made my bed new every few days and changed the towel and the blanket. I stayed there for 11 days as I loved this hostel and Koh Samui so much. The location was perfect, it was in the southern part of Chaweng Beach and nice and chilled. Cheap restaurants and scooter rentals around. The staff was super nice, they were very caring and I booked the Samui Island Tour with them for a great price! Super nice hosts, very clean, bed was the most comfy we ever had, they will let you many bottles of water, snacks and fruits for free. One night they teached us how to make traditional Thai dinner. Very fast wi-fi, super location right in front of the apartment you have 7-11 and markets where you can buy anything. We made also our laundry in the apartment for free so it was very nice. We felt like home! If you are going to Koh Samui this is the best choice for you! We loved the amazing pool and staff, the room is very nice, new and the outdoor shower is awesome! The design of the hotel is beautiful, modern and very good locations for Instagram pics  We were at the hotel for 3 nights and came back to 3 more nights after traveling to Phangan and Koh Tao. Defiantly planning to get back to the hotel on our next trip to Koh Samui. Overall everything is good. Room size was good. Nice beach. I highly recommend to book roundtrip transportation to town (if you don't want to walk 20 min) with the hotel and they will pick you up after shopping/dinner. Taxi in Koh Samui do not use meter, so you have to ask for the rate before you get in the car. overall friendly staff couldn't do enough for you. The hotel was quiet but close to beach and restaurants. Also easy to get transport anywhere in Koh Samui. Far enough from hustle and bustle of Cheawang yet within a tolerable distance if you want a night out. great place if you need a night in Koh Samui or, like us, when you want to go shopping in the Psylo store in Chaweng Beach. The hotel is not more than a better version of a Holiday Inn, but very clean and perfect located next to a mall and close by the store. The hotel is located in a further part of Koh Samui, a little far from the city center, so it’s very calm and a very good beach in a walk distance. There are many restaurants nearby. We could also rent a motorbike with the hotel. Small hotel in a very nice area of Koh Samui. Close to restaurants and great access to the beach! Manager left message and instructions for us as we checked in late!! Very professional staff they were very helpful and clean rooms there is Orchid massage center near the hotel the best Massage in koh samui you should try it.